The anthology being clutched by the poet, drunk on literature and (mostly) wine was launched in Melbourne last week. I read at the launch in the Athenaeum Library, and Melbourne Books arranged a really cool event. I had a great champagne beforehand at the sort of bar Melbourne does so well, also in Collins Street, as I hate to read totally sober. 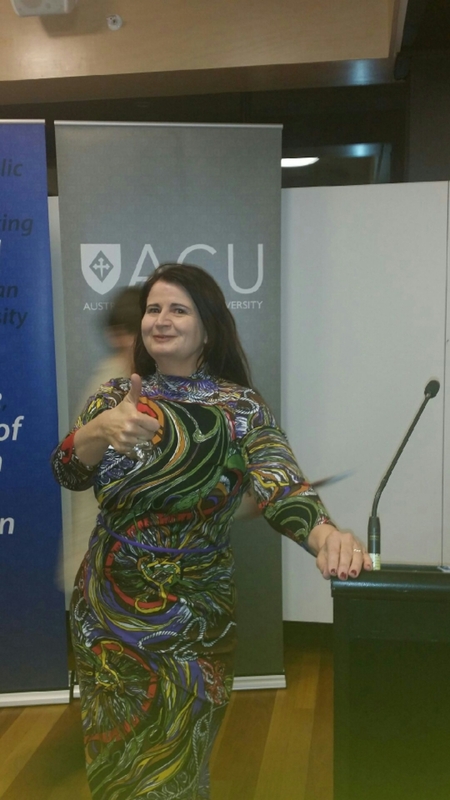 I also attended the Australian Catholic University’s Poetry Awards, and you can read the results here. They also produced a book of the short-listed entries, but I am unsure if that is available for sale. AWAW would make a really good gift, as everyone will like at least some of the work included. I’ve just started reading the anthology, and there’s a lot to appreciate. Particularly the poem that starts on page 203, she said modestly. Everyone will love the taste of that. I was also just short-listed and published in the Hunter Writers Centre Grieve anthology, and look forward to reading that one as well. I won’t probably use so many alcohol metaphors about that anthology.